The latest figures show nearly one million people went missing from the electoral roll in 2013 after the government introduced new measures for individual registration which have not been widely publicized. Labour claim the majority of those who have fallen off the electoral roll are “hundreds of thousands” of young people, leaving Miliband worried they will “lose their voice” in UK politics. In an attempt to re-energize the UK’s voting culture, Miliband will tell students at Sheffield Hallam University they “must make themselves heard” in the general election. The speech marks the beginning of a Labour drive to increase the youth turnout, blaming the coalition for the fall in registration. The party claims one of the main reasons young voters are missing is the change to the electoral roll, which does not allow universities to automatically register students living in halls of residence. This has left towns and cities with a high density of students, such as Nottingham, Cardiff and inner-city London, most at risk of losing voter registration. 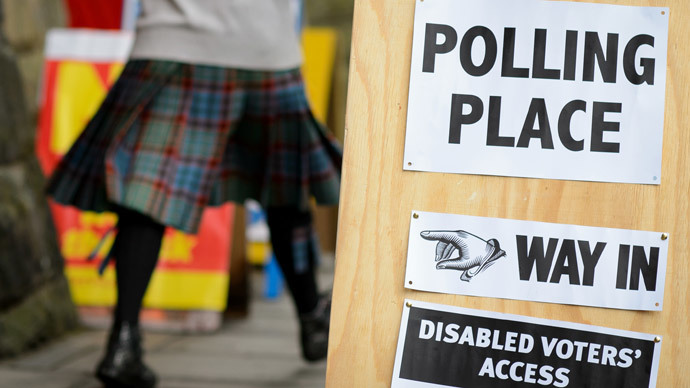 Figures show that of the 373 Local Authorities for which data has been processed, 307 have seen a reduction in the electoral roll, with a total of 1,016,024 fewer registrations in 2015 than 2014. They claim to have vetoed a Conservative plan to attempt to woo overseas voters, and to have set aside £10m for a voter registration campaign. “Labour also seems keen to hide the fact that the Coalition has made it extremely easy to register to vote – it can be done online in a couple of minutes,” he added. But the president of the National Union of Students Toni Pierce said there was “a huge amount of work to do” to stop potential young voters from becoming disenfranchised. “The risks of failing to do so are massive – we know that people who don’t vote in their first election are far less likely to do so in the future,” she said.